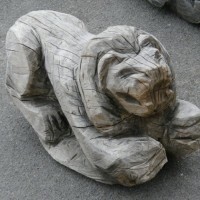 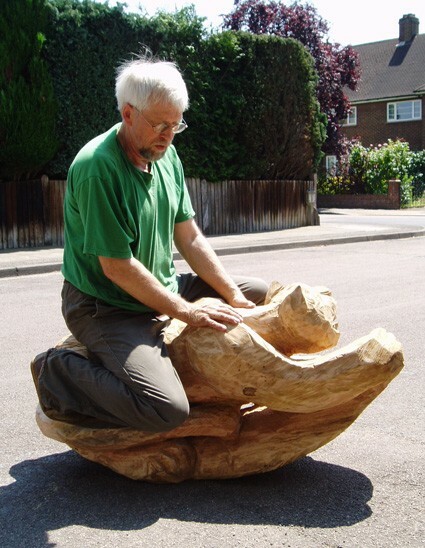 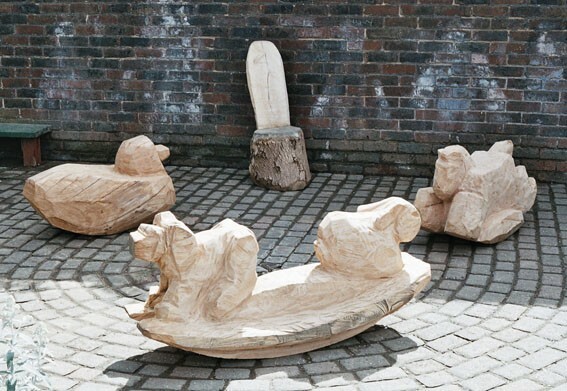 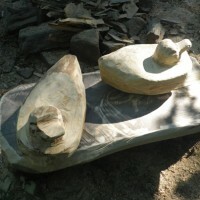 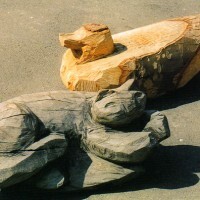 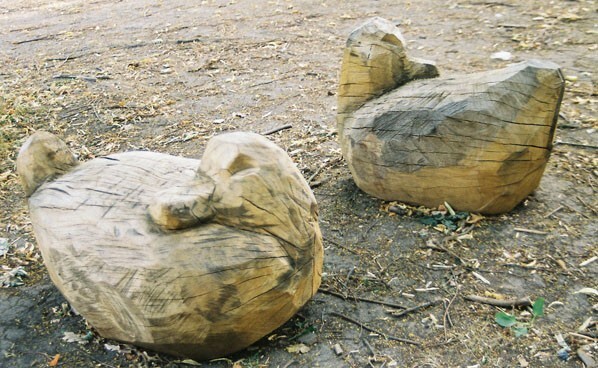 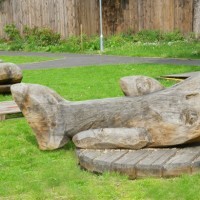 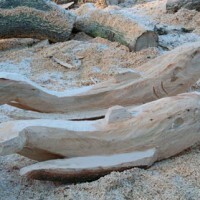 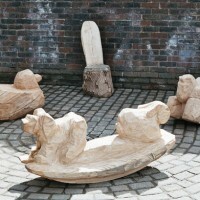 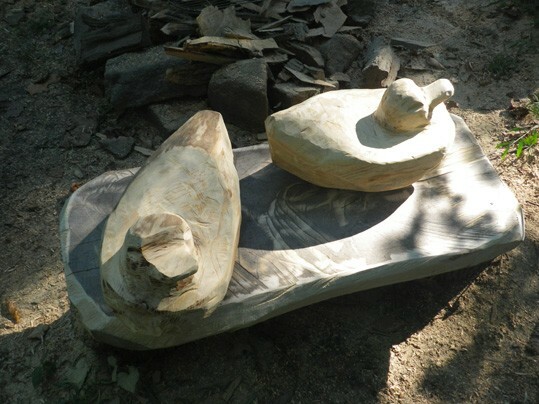 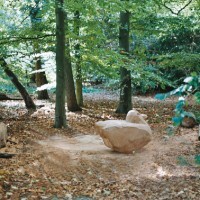 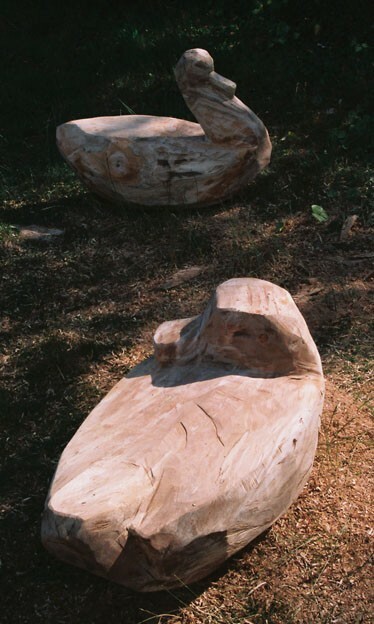 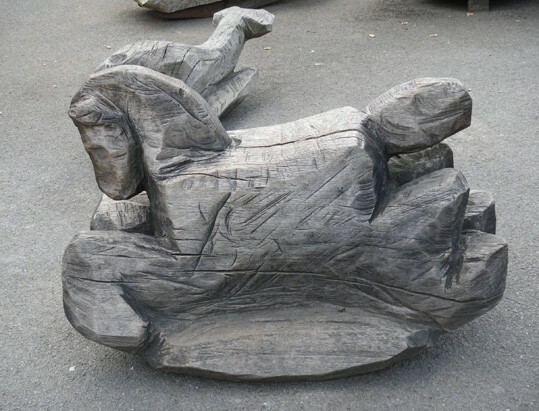 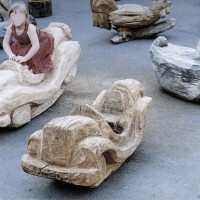 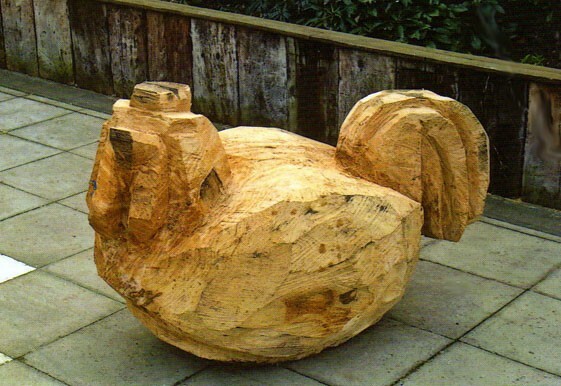 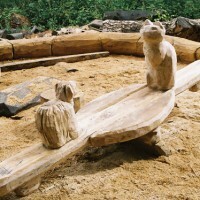 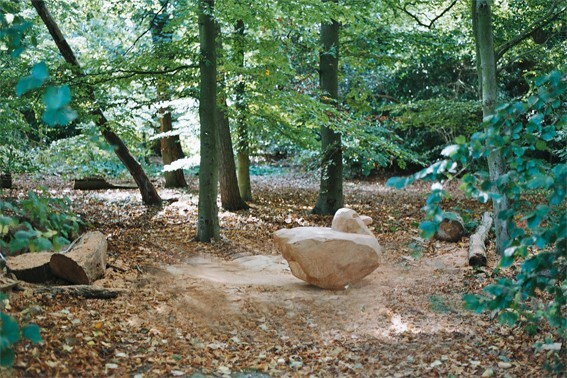 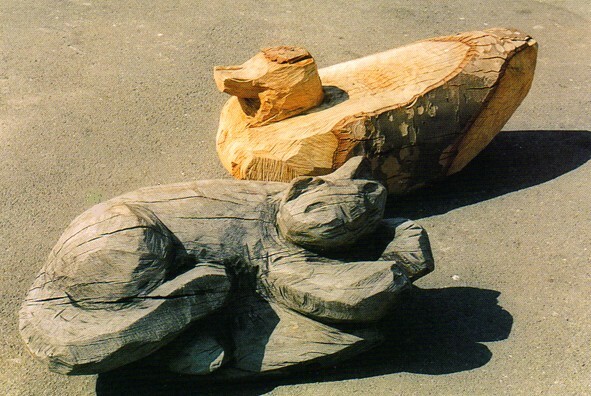 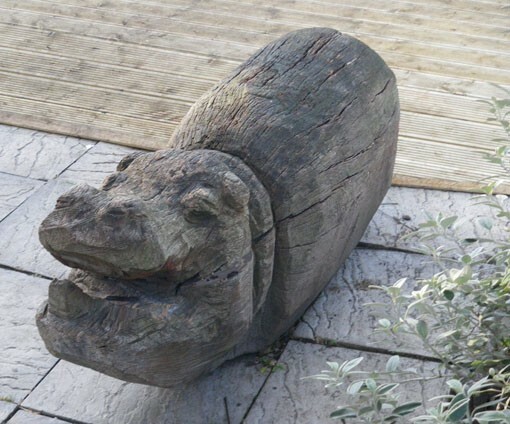 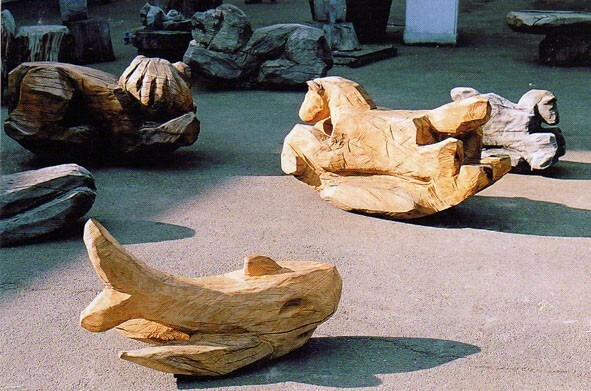 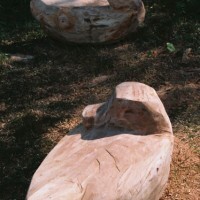 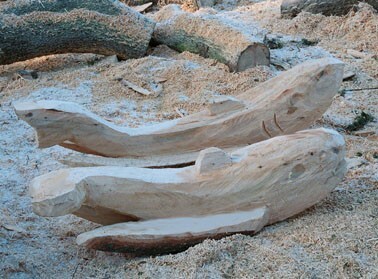 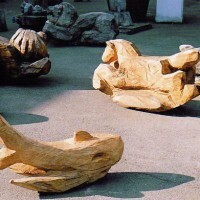 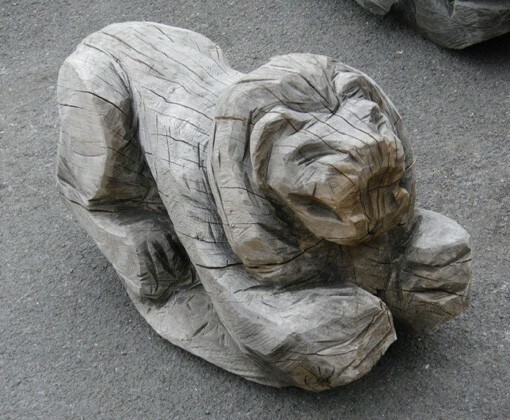 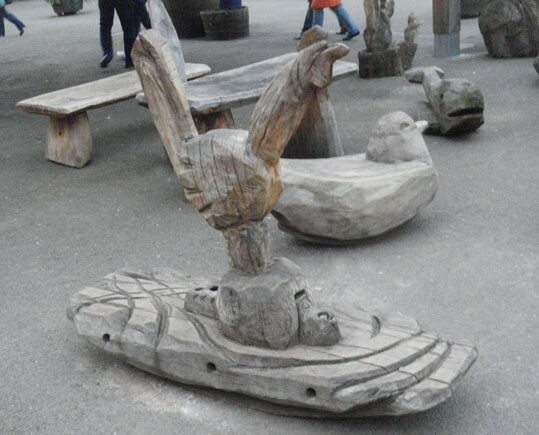 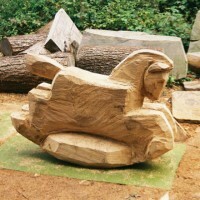 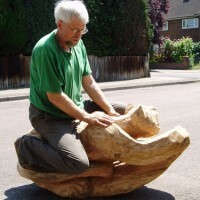 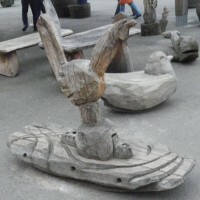 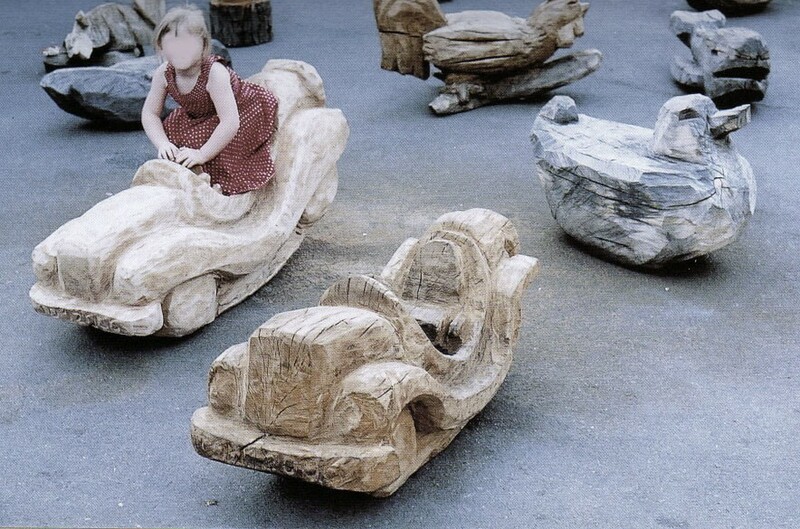 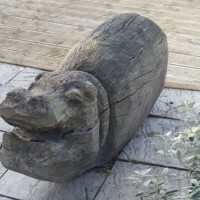 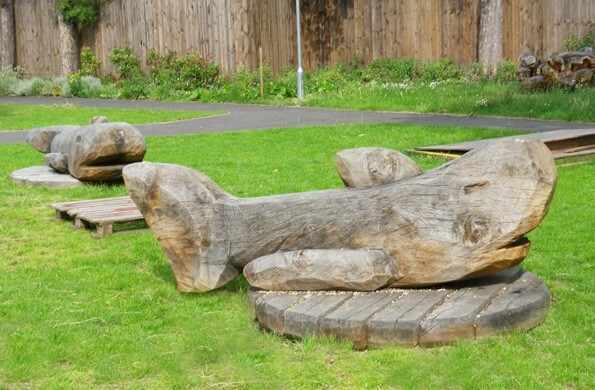 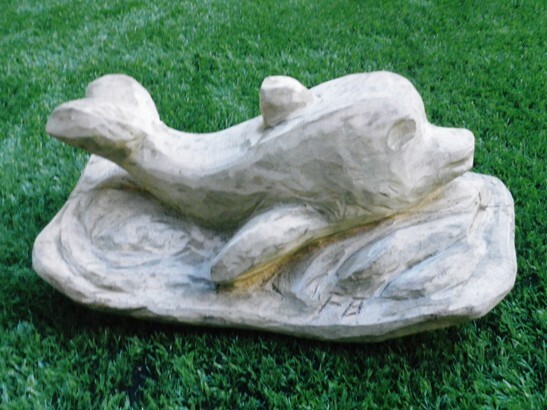 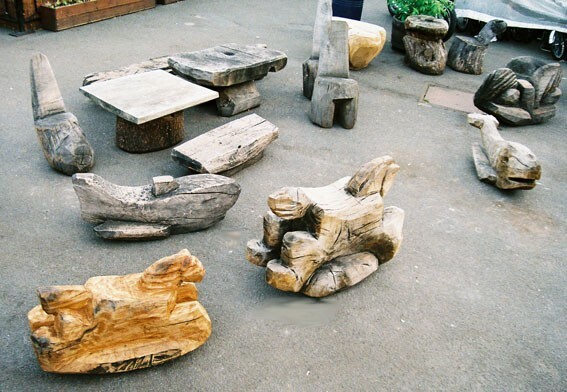 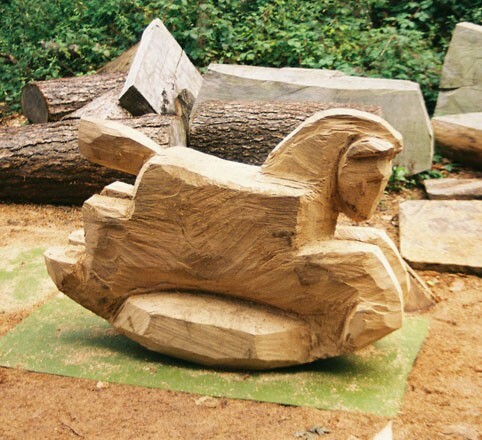 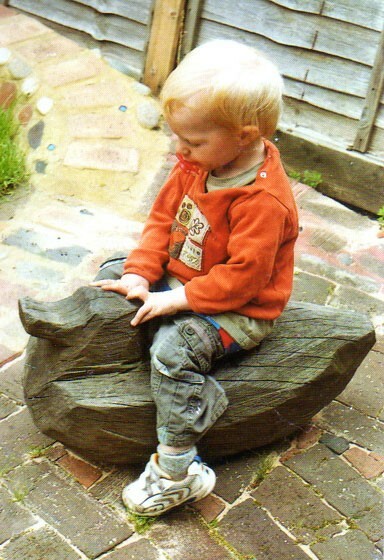 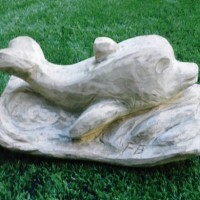 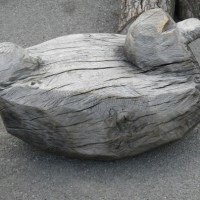 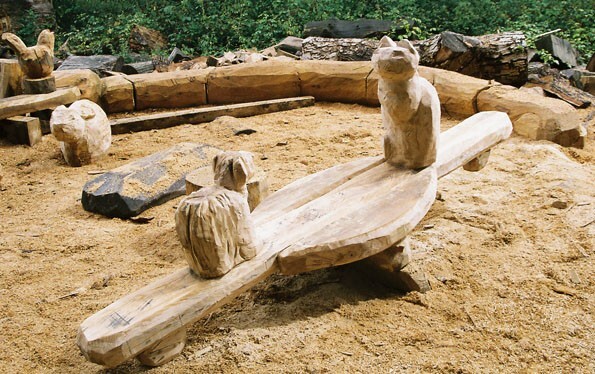 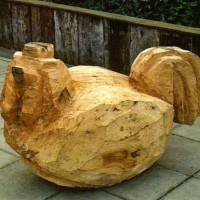 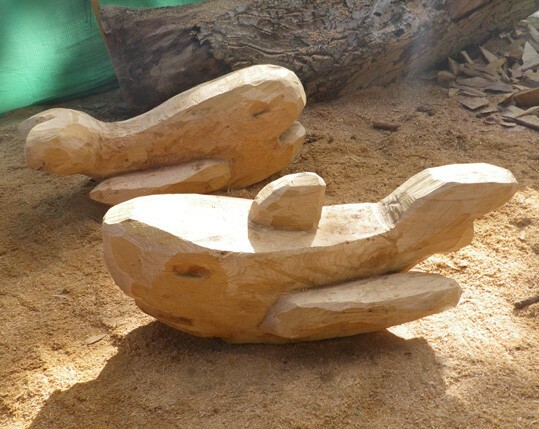 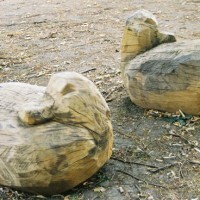 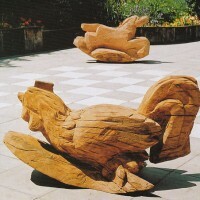 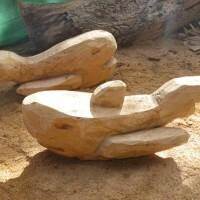 My animal play sculptures are carved and shaped with the chainsaw from single logs of wood which are sourced locally from tree surgeons and wind blown trees. 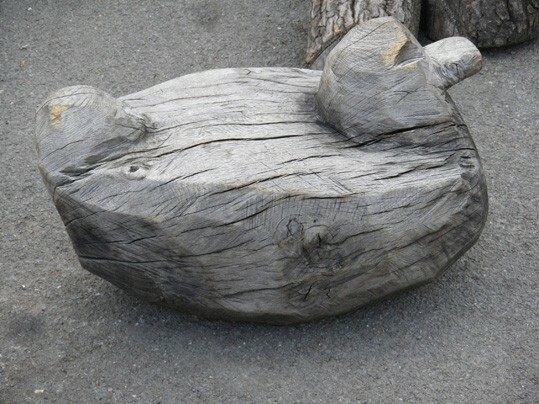 All pieces are very stable and low to the ground. 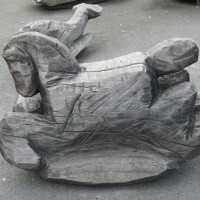 Maximum seat hight for horses is 70cm. 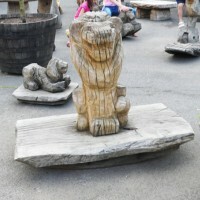 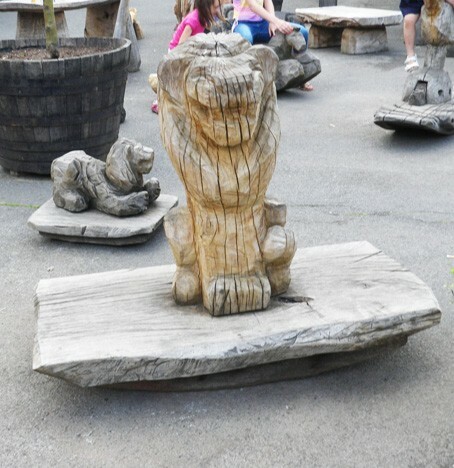 A wide overhang on all rockers and seesaw pieces avoids feet being trapped. 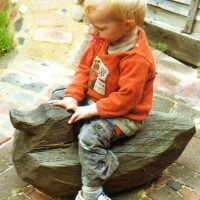 Rocking motion is safe on firm level ground. 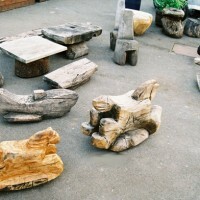 Pieces are hard to topple over sideways. 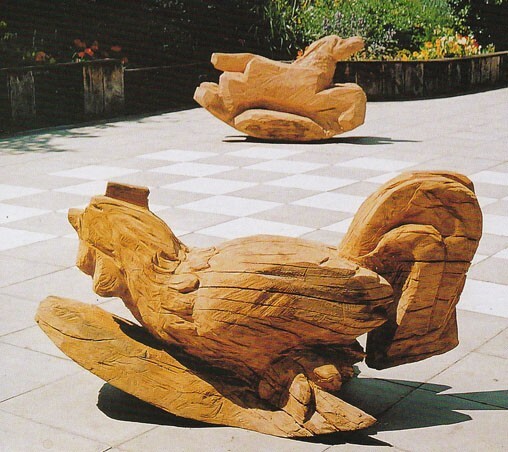 No special safety surfacing required.